*Note* You must have filled out the beta test application and have been accepted to be able to join beta. 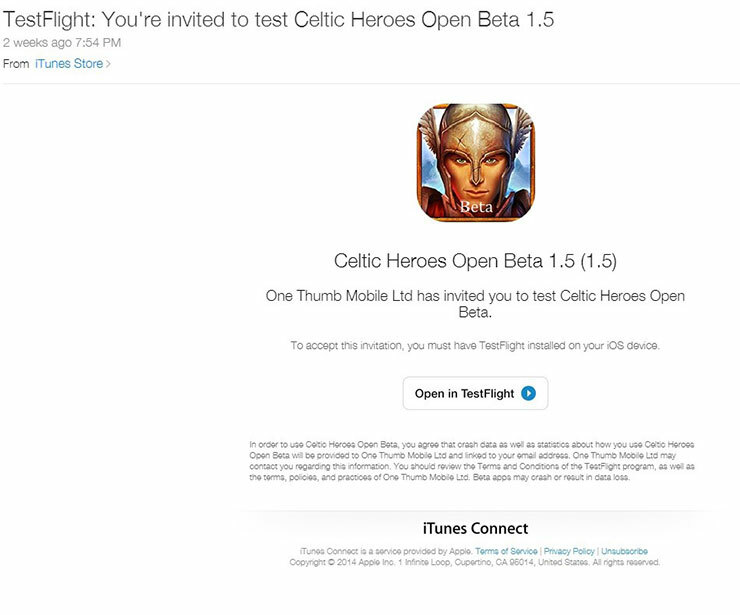 You will know if you have been accepted if you receive a welcome email prior to the email from TestFlight. Click here for more information! After the beta begins you will recieve an email from “iTunes Store” with the subject “TestFlight: You’re invited to test Celtic Heroes Open Beta 1.X” (The X will change depending on what version was live when the invite was sent). Below is an example of the mail. If you select the “Open in TestFlight” link you will be taken to the App Store and the TestFlight download page. If you already have the TestFlight app installed the button to the right will say “Open”. 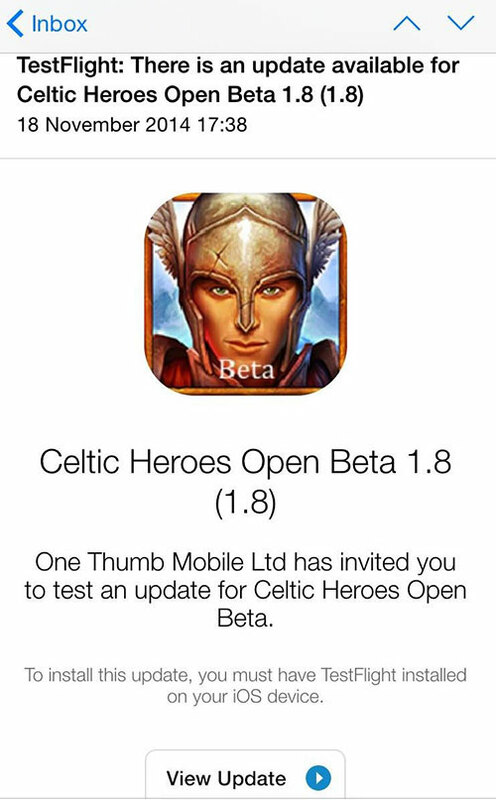 Selecting “Open” will then open the app and link it to the Celtic Heroes Open Beta program. NOTE: If you do not have the app installed then it will say “Install” and on selecting this it will proceed to install the app. You should then use the link to open the app. 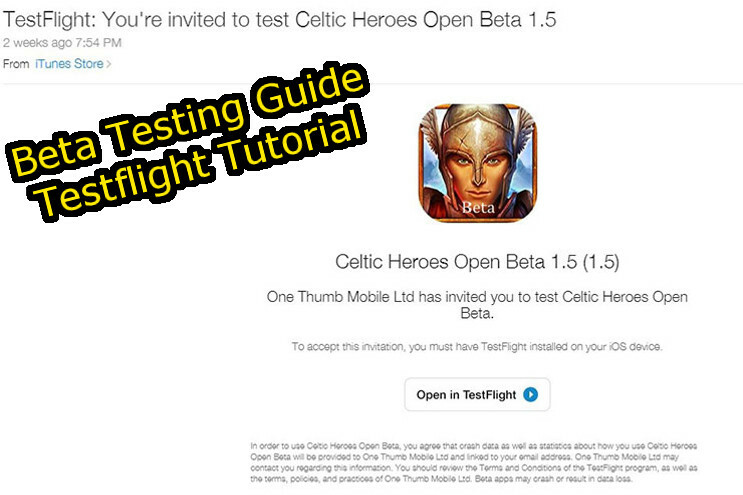 You need to use the link in the email invite to connect TestFlight to the Celtic Heroes Open Beta Program. 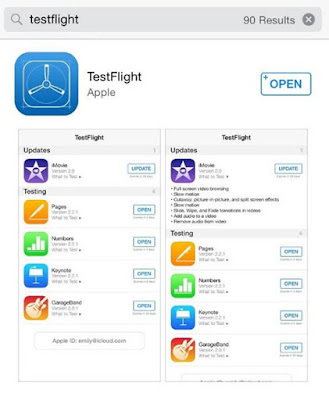 On opening the TestFlight app it should automatically show you apps to which you are eligible to test. If you are informed there is no build available it means the previous build has been withdrawn while we submit a new on to Apple. In a few hours you should receive an update email telling you one is available. Tap the “View Update” link and it should open TestFlight and give you the option to install the update.